Macular Pucker is a condition resulting from abnormal aging of the vitreous body, called anomalous posterior vitreous detachment. When anomalous PVD is associated with a split in the outer shell of the vitreous body, known as “vitreoschisis,” a layer of vitreous is left on the macula. This membrane can contract and distort or crinkle the underlying macula in one or more places. When the distortion of the macula is advanced, patients will experience distortions in their vision. 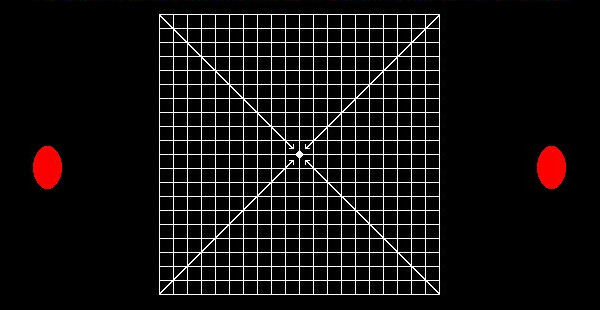 This can be detected by looking at an Amsler Grid. Other symptoms include blurred vision. Because this is a problem with the macula, the symptoms are similar to other diseases of the central retina such as macular holes and macular degeneration. At the VMR Institute, we are collaborating with scientists at the Doheny Eye Institute, and the California Institute of Technology in Pasadena to develop advanced 3-dimensional computerized Amsler grid testing that is more sensitive than standard testing. This technology is currently only available at the VMR Institute in Huntington Beach, but we are developing a web-based system that will be made available to you at home, if you have a touch-sensitive computer monitor. Surgery can be performed for macular pucker, and the results are often dramatic. Dr. Sebag and Dr. Chong specialize in minimally-invasive sutureless vitrectomy surgery using 25 gauge microsurgical instruments. Vitrectomy is usually performed under local anesthesia and on an outpatient basis at the Newport Bay Surgery Center, an affiliate of Hoag Hospital in Newport Beach. Short operating times (usually 20 to 30 minutes) make healing more rapid and recovery is faster. To learn more about symptoms and available treatments for eye disease, including macular degeneration, retinal detachment, and diabetic retinopathy, contact us at the VMR Institute for Vitreous Macula Retina. When you need the most compassionate care for a macular pucker call the VMR institute today. If you have a Macular Pucker in California contact our office today!